On the off chance that you actually own a Sprinter and require new decals, here's a reproduction tank decal set. 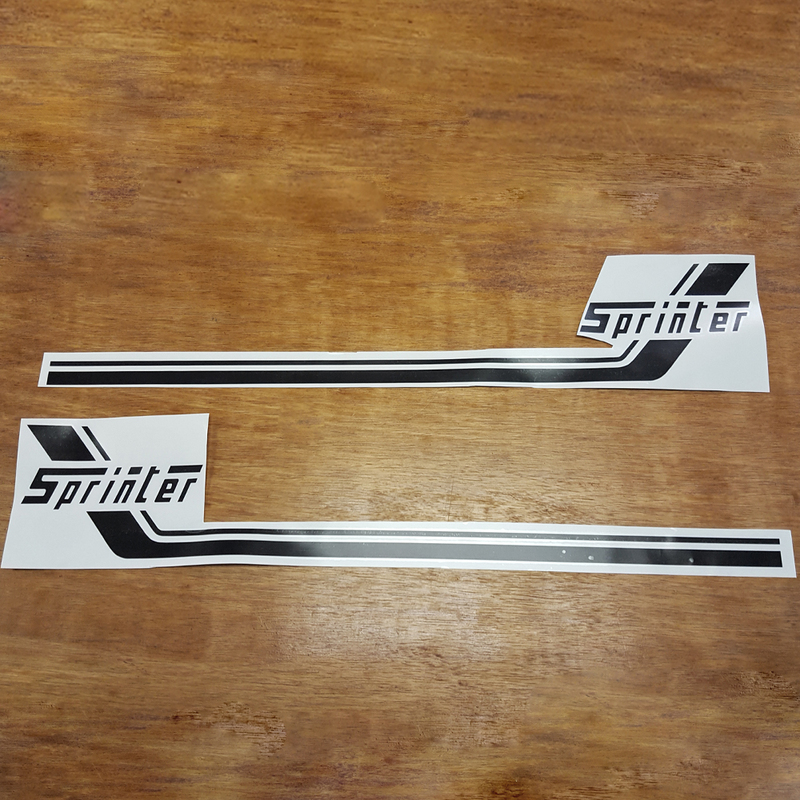 Two Sprinter decals made with black custom cut vinyl. You don't actually need a Sprinter to use these decals, so don't be sad. Put them on your car or your walls or a different moped! It's not against the law. Each decal measures 24.5″ wide, 4.5″ tall. Made in house at Detroit Moped Works. Be sure to clean the surface before applying this decal for optimal sticking!